Bob and his two sons, Chris and Brian, spend their days raising 100% Berkshire bred hogs on land that has held the farming principles since the mid 1800’s. 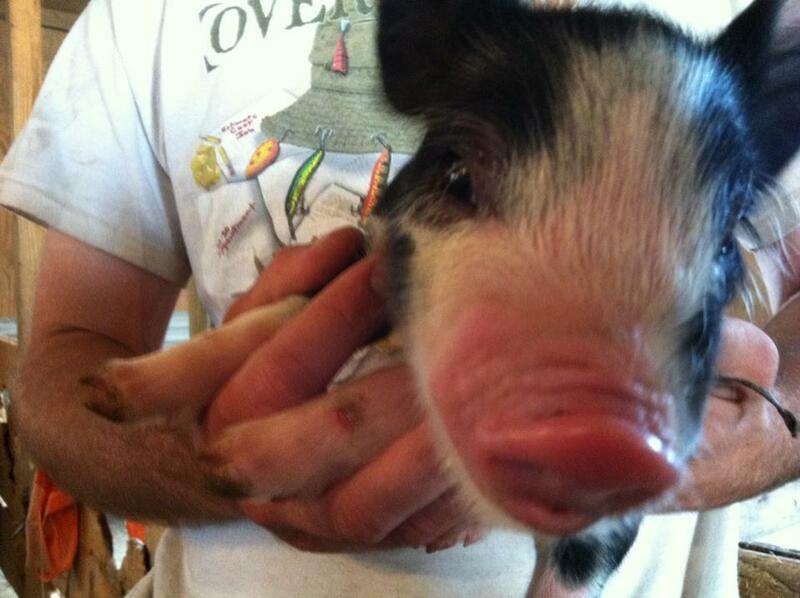 The Uphoff Family Farm was founded 1867 and has been breeding these types of hogs ever since. The family farm is able to follow the animals’ pedigree generations back due to their in-depth documentation that the Uphoffs have maintained. Bob Uphoff and his family greatly enjoy the time they have spent being farmers but remark on the need to understand that farming is a business. ‘If you don’t treat farming like a business you will go extinct’ said Bob. His way of life has been ingrained in him and his sons as they all grew up on the Uphoff Farm learning how to raise hogs year after year to product a high quality Berkshire. However, as times changed for transpiration, processing, technology and even weather they needed to adapt. Over a hundred years later they are still able to hold their family farming values close to heart. 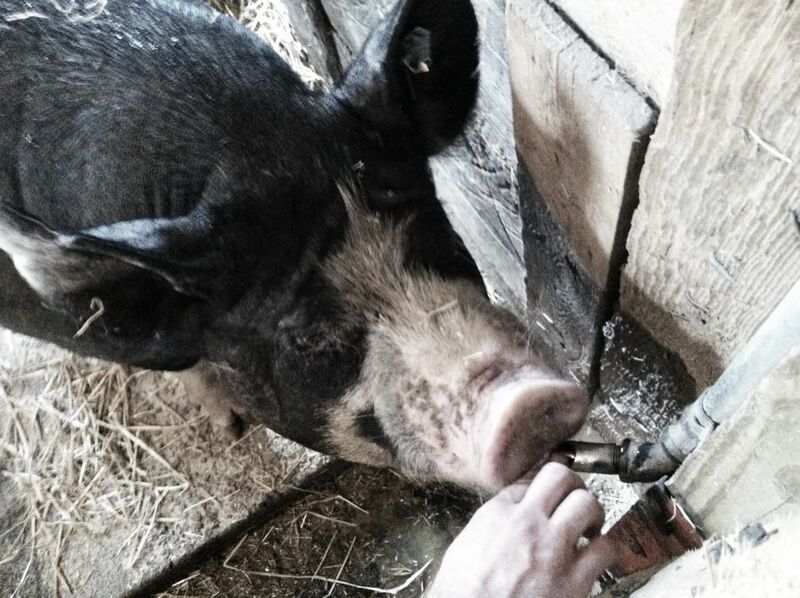 The 100% Berkshire certification is something outstanding that differs Uphoff’s pork from any other Berkshire farmers. The rules and regulations behind being certified 100% Berkshire does not always have the highest benefits but produces a phenomenal product. The business side of begin a farm is where Bob and his family have come to learn that it is not always possible to locally source their meats. While they truly wish to support the Madison community their meat is actually processed in Iowa after a large Oscar Mayer plant left the Madison area years ago. From time to time their meats make their way to a local Madison distributors where it can be found at downtown restaurants, such as Bakers’ Window and The Fountain. However, the majority of it is processed in Iowa and sold to a Japanese market. They are able to track their animals and take pride in their farming and animal practices but realize the local community is somewhere they would like to see more of their meat. Bob and his sons are eager to market their meat and tell their story but with the business demands of managing their farm with a small family staff it is not always a top priority. They treat their animals with the best respect and offer them a high quality feed that helps them grow and stay healthy during their growing period. 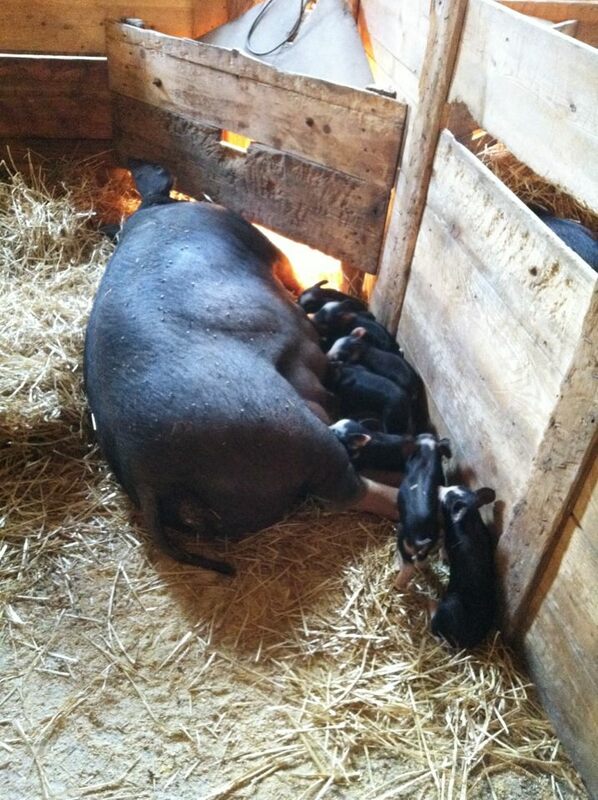 Berkshire hogs are born about 3 pounds and sold on the markets roughly 6 months later weighing around 280 pounds. The turn around is quite fast for this breed of animal but the Uphoff men take the entire process step by step to offer a pristine Berkshire meat. 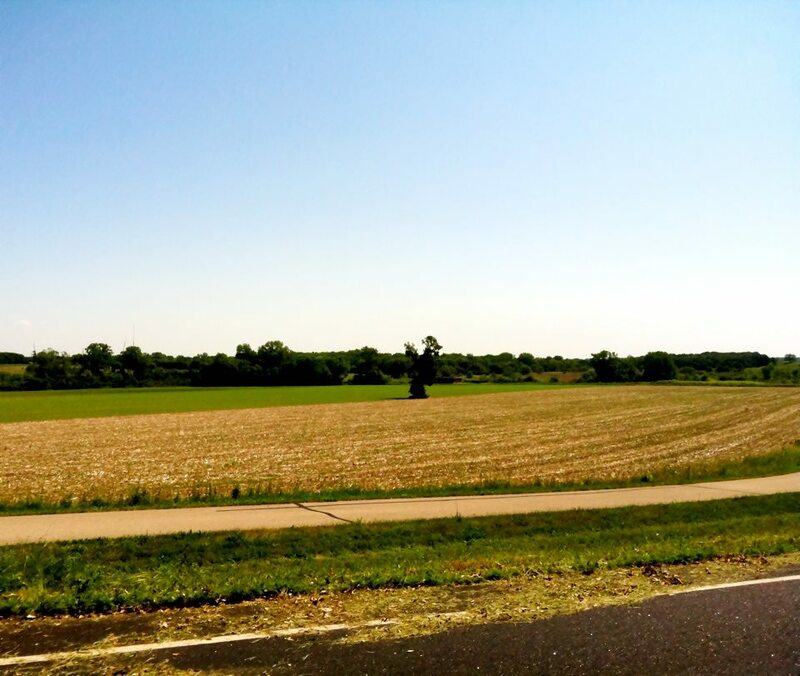 The farm is located just outside Madison on Meadowview Road with plenty of acres to move the animals at each stage of their growth and offering them the ability to graze freely. The Uphoff men take outstanding care of the land allowing them to be environmentally recognized by the American Farmland Trust organization in 1999 for their preservation of land and farm principles. 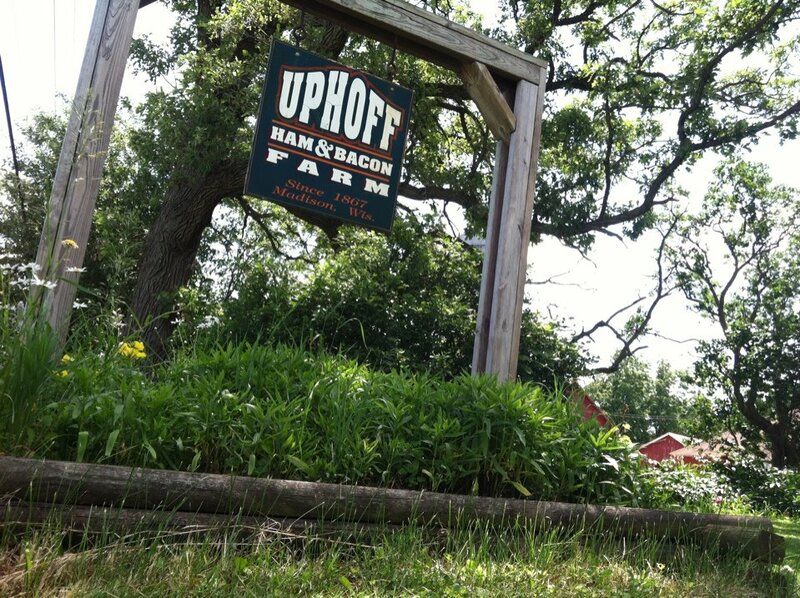 The area Uphoff Family Farm is located places them just outside the bustling city of Madison and in an area where land is prized and well taken care of by the Uphoffs. For more information about their sourcing and distribution review their bio on Real Time Farms website. All hail a family farm.